Biography: Professor Jan AWREJCEWICZ, Full Professor, Head of the Department of Automation, Biomechanics and Mechatronics at Lodz University of Technology, Head of Ph.D. School on 'Mechanics' (since 1996) and of graduate/postgraduate programs on Mechatronics (since 2006). Doctor Honoris Causa of Academy of Arts and Technology (Poland, Bielsko-Biala, 2014) and of Czestochowa University of Technology (Poland, Czestochowa, 2014). Corresponding Member of the Polish Academy of Sciences (since 2016). Recipient of the Humboldt Award (twice). Editor-in-Chief in 3 international journals and member of the Editorial Boards in 90 international journals (23 with IF). Author/co-author of over 775 journal papers and refereed international conference papers and 50 monographs. Editor of 25 books and 28 journal special issues. Principal investigator in 39 research grants by Polish Ministry of Education and Science (21), Committee for Scientific Research (17), National Science Centre (3). Supervisor/co-supervisor of 24 finalized and 6 ongoing PhD theses, 8 habilitation theses and 37 Master/Bachelor theses. Organizer and Head of the series of 14 international conferences Dynamical Systems-Theory and Application (Lodz, 1992-2017) and of 3 international conferences “Mechatronics: Ideas for Industrial Applications” (Warsaw 2012; Lodz, 2014; Gdansk, 2015), Chair of the "International Conference of the Polish Society of Biomechanics" (Lodz, 2014). His papers and research cover various disciplines of mechanics, biomechanics, applied mathematics, automation, physics and computer oriented sciences, with main focus on nonlinear processes. Biography: Vsevolod V. Koryanov, Ph.D., Associate Professor, Deputy Head of the Department "Dynamics and flight control of missiles and space vehicles" of Bauman Moscow State Technical University. In 2011 defended his dissertation for the degree of candidate of technical sciences. In the period from 2011 to 2015 under the European Seventh Framework Programme FP 7 Associate Professor Koryanov is responsible for the international project "Re-entry: inflatable technology development in Russian collaboration", performed Bauman Moscow State Technical University together with the Finnish Meteorological Institute, Lavochkin Space Association and National Institute for Aerospace technology (Spain). In this work, Vsevolod Koryanov were made the next presentations at international meetings, reporting project participants Helsinki (2012, 2014) Saariselka (2014) and Brussels (2013, 2015) and made three presentations at international conferences 64th International Astronautical Congress, (24-27 September 2013, Beijing, China), 65th International Astronautical Congress, (29 September – 03 October 2014, Toronto, Canada), 40-th COSPAR Scientific Assembly 2014, 2-10 August, Moscow, Russia, 66th International Astronautical Congress (12-16 October, 2015, Jerusalem, Israel). And make reports in this scientific field at: 67th International Astronautical Congress, IAC 2018; 01-05 October 2018, Bremen, Germany. Member of the International Nonprofit Association of Specialists in Engineering: Institute of Electrical and Electronics Engineers (IEEE) (2015-2016). Keywords of the main scientific directions - motion dynamic, numerical simulation, modeling, guidance, navigation and control, flexible inflatable structures, innovative materials, orbital movement, spacecraft, landing vehicle, asymmetry, resonance, spatial motion. Biography: Maxim Bakaev has PhD degree in Technical Sciences (2012), works as Senior Researcher in Automated Control Systems department of Novosibirsk State Technical University (NSTU), Russia. His research interests include Human-Computer Interaction, Web Design, User Behavior Models, and Machine Learning. He served as reviewer for several international journals, including Large-Scale Control Systems, Algorithms, Future Internet, etc., as well as PC Chair or committee member for several conferences (ICWE, ICMSC, IHC, KEER, AMBIENT). He was awarded the "Best young researcher in higher education institutions" by the City Hall of Novosibirsk in 2016. He also got several research grants from the Russian Foundation for Basic Research and has more than 30 indexed publications. Under his supervision, more than 20 Master and Bachelor students graduated. Biography: Dr. Dan Zhang is a Kaneff Professor and Tier 1 York Research Chair in Advanced Robotics and Mechatronics at York University. Before 2016, Dr. Zhang was a Professor and Canada Research Chair in Advanced Robotics and Automation, and was a founding Chair of the Department of Automotive, Mechanical, and Manufacturing Engineering at the University of Ontario Institute of Technology. He received his Ph.D. in Mechanical Engineering from Laval University, Canada, in June 2000. Dr. Zhang’s contributions to and leadership within the field of robotic and automation have been recognized with several prestigious awards, within his own university (Research Excellence Award both from university level and faculty level) and Kaneff Professorship, the Province of Ontario (Early Researcher Award), the professional societies (Fellow of the ASME, the CAE, the EIC and the CSME), and federal funding agencies (Canada Research Chair in January 2009 and renewed in January 2014). Dr. Zhang is the editor-in-chief for International Journal of Mechanisms and Robotic Systems, the editor-in-chief for International Journal of Robotics Applications and Technologies. Dr. Zhang served as a member of Natural Sciences and Engineering Research Council of Canada (NSERC) Grant Selection Committee. Dr. Zhang is a Fellow of the Canadian Academy of Engineering (CAE), a Fellow of the Engineering Institute of Canada (EIC), a Fellow of American Society of Mechanical Engineers (ASME), and a Fellow of Canadian Society for Mechanical Engineering (CSME), a Senior Member IEEE, and a Senior Member of SME. Biography: Makoto Iwasaki received the B.S., M.S., and Dr. Eng. degrees in electrical and computer engineering from Nagoya Institute of Technology, Nagoya, Japan, in 1986, 1988, and 1991, respectively. 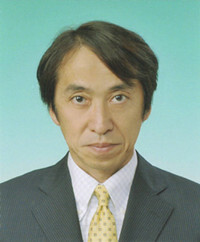 Since 1991, he has been with the Department of Computer Science and Engineering, Nagoya Institute of Technology, where he is currently a Professor at the Department of Electrical and Mechanical Engineering. As professional contributions of the IEEE, he has been an AdCom member of IES in term of 2010 to 2019, a Technical Editor for IEEE/ASME TMech from 2010 to 2014, an Associate Editor for IEEE TIE since 2014, a Management Committee member of IEEE/ASME TMech (Secretary in 2016 and Treasurer in 2017), and a Co-Editors-in-Chief for IEEE TIE since 2016, respectively. He is IEEE fellow class 2015 for "contributions to fast and precise positioning in motion controller design". He has received the Best Paper Award of Trans of IEE Japan in 2013, the Best Paper Award of Fanuc FA Robot Foundation in 2011, the Technical Development Award of IEE Japan in 2017, and The 3rd Nagamori Awards in 2017, respectively. His current research interests are the applications of control theories to linear/nonlinear modeling and precision positioning, through various collaborative research activities with industries. Biography: Weidong Chen received his B.S. and M.S. degrees in Control Engineering in 1990 and 1993, and Ph.D. degree in Mechatronics in 1996, respectively, all from the Harbin Institute of Technology, Harbin, China. Since 1996, he has been at the Shanghai Jiao Tong University where he is currently Chair and Professor of the Department of Automation, and Director of the Institute of Robotics and Intelligent Processing. He is the founder of the Autonomous Robot Laboratory. From August 2003 to February 2004, he was a visiting associate professor in the Department of Electrical and Computer Engineering at The Ohio State University. In July and August 2012, he was a visiting professor in the Artificial Intelligence Laboratory at the University of Zurich in Switzerland. He is a visiting professor in the Brain Science Life Support Research Center at the University of Electro-Communications in Japan from 2016 to 2018. Dr. Chen’s current research interests include autonomous robotics, collective robotics, assistive robotics, and medical robotics. His research has been supported by National Natural Science Foundation of China (NSFC), National High-tech R&D Program (863 Program), Ministry of Education (MOE), etc. 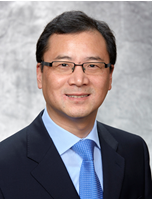 Dr. Chen has served on numerous program and organizing committees of international conferences. Most recently, he was an Organizing co-Chairs of the 2015 International Symposium on InfoComm & Media Technology in Bio-Medical & Healthcare Application (2015 IS-3T-in-3A), Chiba, Japan, November 15-18, 2015, and is serving as the General Chair of the 14th International Conference on Intelligent Autonomous Systems (IAS-14), Shanghai, China, July 3-7, 2016. Biography: Professor Ghassan Beydoun is currently based at the Faculty of Engineering and Information Technology in University of Technology Sydney, where he is also deputy Head of School (Research) Systems, Management and Leadership at the University of Technology Sydney. He is also an adjunct senior research fellow at the School of Information Systems, Management and Technology at the University of New South Wales, an associate editor of the International Journal of Intelligent Information Technologies (IJIIT) and an Editorial member of the Journal of Software. He received a degree in computer science and a PhD degree in knowledge systems from the University of New South Wales in 2000. His research interests include multi agent systems applications, ontologies and their applications, and knowledge acquisition. He is currently working on a project sponsored by an Australian Research Council Discovery Grant to investigate the best uses of ontologies in developing methodologies for complex systems and another project with SES on exploring the use of ontologies for flood management decision support. He has authored more than 100 journal and conference papers in these areas over the past 15 years. 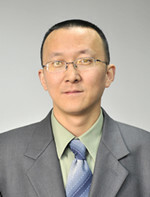 His most recent publication appeared in IEEE Transactions of Software Engineering, Information Systems journal, Information and Management, International Journal of Human Computer Studies, Information Processing and management and others.